North America has been been through some kind of apocolypse and is now split into 12 districts, all of which depend on and pledge their allegience to The Capitol. Every year, this oppresive regime holds The Hunger Games and requires each district to select a boy and a girl through a lottery to participate and fight to the death. Oh yah, and the whole thing is televised for everyone to see. 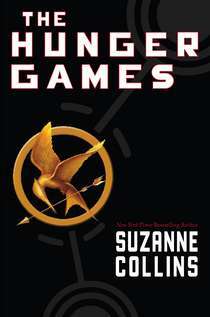 The trilogy is written from the perspective of Katniss Everdeen, a teenager navigating the violent political landscape of her world, not to mention all the normal teenage angst over boys and finding her true sense of identity. This was the first teen fiction that I had read in a long time, and I’ll be honest, my expectations were not that high. The synopsis on the back of the book didn’t help much either, something about kids having to fight eachother to the death. Dark. Or so I thought. I ended up reading the entire trilogy in less than 2 weeks. There were characters that I loved, and those that drove me nuts – a good sign. As a result, the love-triangle, teenage romance was engaging. The lovey-dovey stuff is well balanced, however, with enough action, suspense and violence to keep any guy reading. It also has a bit of depth, making some pointed social comment through a post-apocalytpic world. Recommended for ages 13 and up, both guys and girls. I loved this series, an absolute page turner, but I’m not holding my breath on the movie. As far as teen fiction goes: 4 stars (maybe even 4 1/2).